Small groups were the first area of focus as the de-centralized nature of them fit perfectly with the software being a web application. New Covenant began using it in the Fall of 2000 and within a year a number of other churches were using it as well. Consultants and several large, influential churches began referring Churchteams to clients and friends which continued the growth. Churchteams was pioneering a new kind of software – Small Group Software. Churchteams began as a discussion between Boyd Pelley and Mark Horan over lunch at Godfather’s Pizza in Lincoln, NE in 1999. 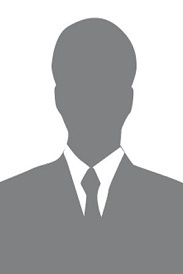 Boyd Pelley was the discipleship pastor at New Covenant Community Church and Mark was a software developer for a direct marketing company and had worked with Boyd in developing a church database for use at New Covenant. Heavily influenced by the discipleship and church growth movements of the 80s and 90s, Boyd felt a new kind of software built not around accounting, but around the church’s great commission was needed. Mark agreed to partner with Boyd to build it and they decided that the software needed to be web based to leverage the internet. Grow stewardship using a secure and cost effective system that seamlessly integrates with your church’s financial records. Shepherd and care for your people so nobody gets lost or left behind. Knowing everyone’s information, family structure, class and/or ministry involvement and progress over time gives you the edge you need to provide real support. Check-in is loaded with features, which help keep kids safe, track attendance and make data entry more proficient. Volunteering shouldn’t be a chore. Make managing volunteers, their roles, their groups, and their classes easier by helping with recruiting, multi-campus scheduling and mission needs. 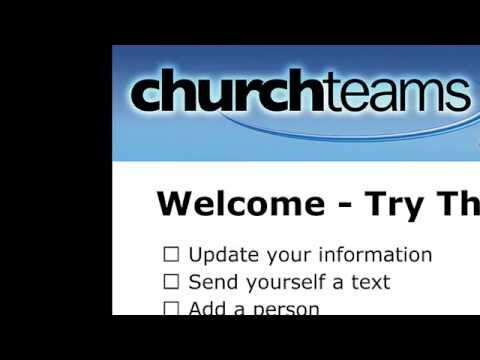 A video intro to the 30-Day trial of our Church Management Software. Try it for free at http://churchteams.com . Q. Do we have to pay for updates? Churchteams does not require a contract. The setup fee helps cover initial expenses related to sales and on-boarding support. We are confident that our excellent software and support is enough to earn and keep your business. Q. If I have questions is there someone to talk to? Call, text or email anytime. We even monitor these on nights and weekends in case of emergencies! Matthew 7:12, the Golden Rule, has always steered our #1 priority of excellent service. Our support team is made up of people just like you, pastors and admins who’ve used Churchteams while on church staff. We get it. Q. How do we get our data in the system? My favorite part of Churchteams is the ease of use- it's very user friendly and intuitive.